Can we call this a tradition yet? Last year we decided to shoot a time lapse film of Christmas morning so that we could enjoy the morning in front of the lens, rather than behind it. It was a lot of fun, and we gave it another shot this year. Of course, our family grew this year, with Carson arriving just two weeks before Christmas day. Navigating the holiday season with a newborn and a little girl with boundless energy brought some new challenges, but the smiles persisted and Santa delivered. We hope you all had a wonderful holiday season. From our family to yours: Merry Christmas and Happy New Year. 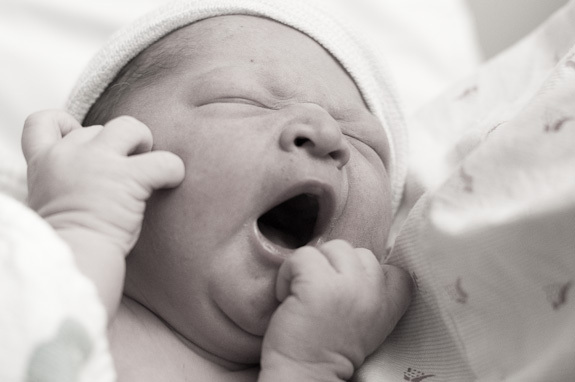 Born: December 9, 2010 at 11:40 a.m.
Somebody call Santa Claus and give him our thanks. 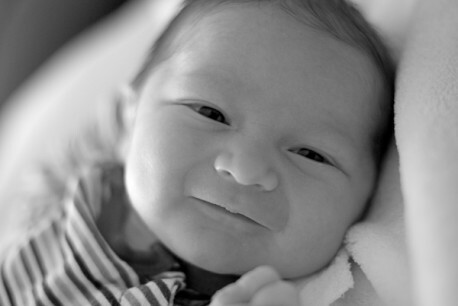 We’re very happy to introduce our son, Carson Grant Pritchard. He was born this morning at 11:40 a.m. at Kaiser Hospital in San Francisco. The labor was relatively short, but intense. Everyone is happy, healthy and exhausted. He was born naturally, just like his big sister. Speaking of Autumn, she met her brother tonight and concluded that he is “…a little bit scary.” Fair enough. There are some photos posted on Flickr, with many more to come.